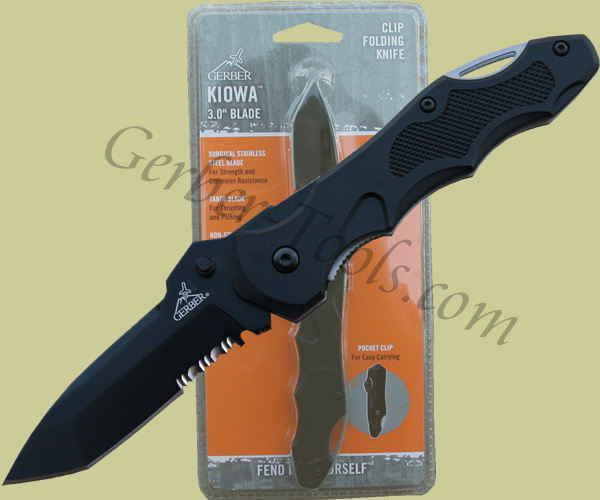 Gerber Kiowa Knife 22-41405 22-01405. Tired of puny knife handles that are not designed for your man-sized hands? 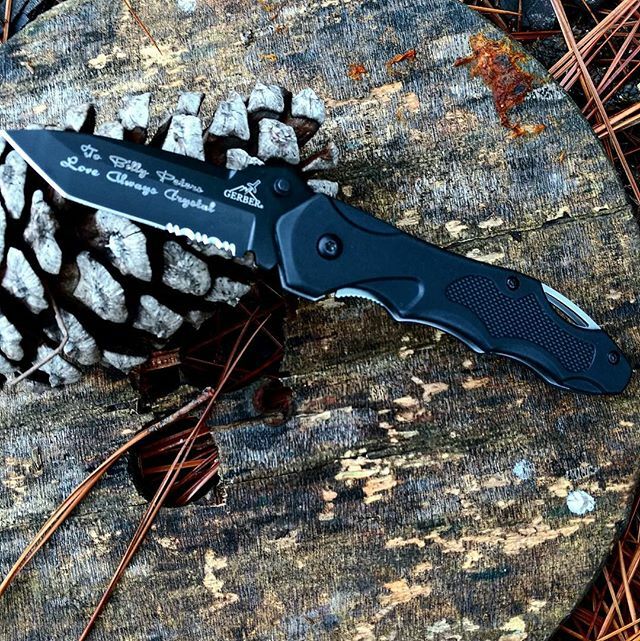 Well, the Gerber Kiowa knife model 22-41405 is for you. With over 4 inches of ergonomically designed handle, the Kiowa has plenty of gripping room. The 3 inch tanto blade is partially serrated and designed for picking and thrusting. A liner lock secures the blade in position and the included pocket clip makes carrying a breeze.